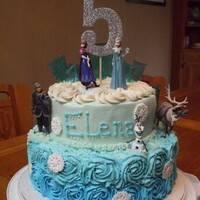 I want to make this cake for my moms 60th birthday. Has anyone make this type of flower before? What tip do I use? Any tricks on making it perfect? I am clueless and sure I do not have a tip that would make those petals. I would use gum paste. Maybe one of the other ladies can advise. Oh I see what you are saying so just a large leaf tip and bend it open more! I didn't think about that! I'll have to try it! giraffeflute05 The tip you need is 104. I enlarged the picture, and I do believe the petals are fondant or gumpaste. The centres look piped. There is a tutorial on Wilton on how to pipe the flower. I stand corrected kakeladi, it is a sunflower. You need tip #352, or a leave tip. Found a pretty easy tutorial. 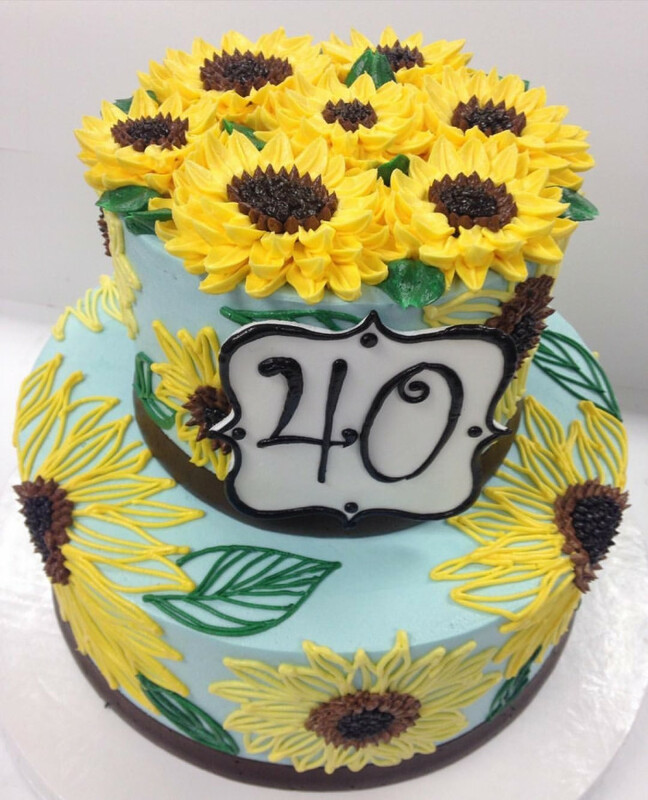 i really like the contrast of the ‘penciled’ in flowers and the 3-d ones — sweet cake! yeah doesn’t it look like that, Lynne — ingenious! Thanks for all the info everyone! I thought the middle was chocolate chip minis. I didn't think about other ideas like raisin or currants! I have done the sunflower with the leaf tip before but they didn't have much " thickness" to them like these do is why I wasn't sure what tip to use. I have some great ideas to play around with now! Thanks!